Unveiled in production specification at the Geneva Motor Show in 2015, Audi's electric R8 e-tron was suppose to add a new dimension to the R8 range. 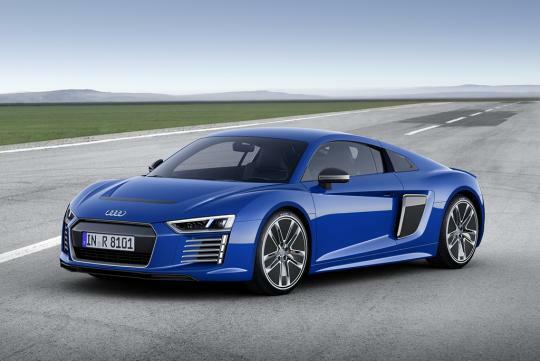 However, having sold fewer than 100 units of the all-electric sports car, audi has stopped production of the car. Reported by Car and Driver, only double digit sales figures were recorded. While there wasn't any given reason why it did not sold well, it is safe to assume the car's sky-high 1 million euro (S$1.53 million) price tag is a likely reason for why the electric supercar never appealed to many buyers. Using two rear-mounted electric motors, the Audi R8 e-tron outputs a total of 456bhp, enabling the car to hit 250km/h when maxed out. Power is channeled to the rear wheels only via a single-speed transmission.